It’s fair to say that what grade you earn in a course is indicative of your interest in said subject. That ‘C’ in The Sociology of Fire correlates directly to how fascinating you found burning of forests was, just as that ‘A’ demonstrates your engagement in the topic of “Astronomy 101.” Which is why it’s bit distressing to realize that American adults earned an F in retirement literacy this summer. In July 2014, just over 1000 Americans between the ages of 60-75 with at least $100,000 in household assets were interviewed on the topics of retirement and retirement planning, ability to maintain lifestyle, income generation, annuity product knowledge, Social Security, life expectancy, death of a spouse, taxes, inflation, housing, medical insurance and long-term care. Unfortunately, this test was not being graded on the curve. 80% of respondents earned a ‘F’ and only 200 people passed (less than 1% of those scoring an ‘A’). It would seem most American’s have a close-our-eyes-and-wish plan when it comes to retirement. The American College study says, “Only 27% of respondents report having a written retirement plan in place – despite the fact that 63% say they have a relationship with a financial advisor, and more than half (52%) are at least moderately concerned about running out of money in retirement. 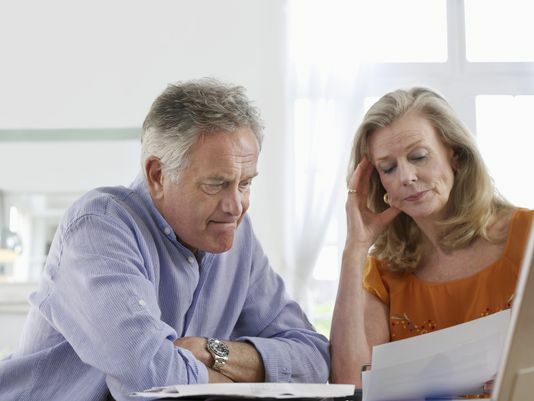 A significant minority (33%) have never tried to figure out how much they need to accumulate to retire securely.” This lack of retirement literacy isn’t exactly new news: a 2011 study by the National Bureau of Economic Research had similar findings. American’s aren’t engaged in the intricacies of retirement planning. American’s are setting themselves up to run out of money before they run out of life. So what if you fail at retirement? What does it even mean? Well, it could mean debt (or more debt, if you currently already have some). Vacations, entertainment, gifts and medical expenses add up – and retirees rack up thousands of dollars of credit card debt. Retired or not, debt comes with its own set of issues, like interest, lower credit scores, and not being able to do the things you want to do. But debt in retirement can come with even more consequences. Instead of leaving the legacy you want behind, you could leave behind a legacy saddled with debt. Failing at retirement also means you might not have enough money to support yourself in the lifestyle you’re comfortable with. It means less quality end of life care, and possibly even becoming a financial burden on your family. If you’re in the ‘probably failing’ retirement planning boat, the best answer is: open your eyes now, and ask for help. According to CNBC, “A lot of people who fall into the haven’t-saved-enough category think that financial planners are only for the rich but that’s not true.” Asking for assistance from a retirement professional means you’re being proactive, and engaging in the subject. Admittedly, the terms “financial literacy” and “retirement planning” are yawn-inducing for most people – but perhaps these findings will serve to wake you up. If you’re ready to increase your retirement planning grade today, you are always welcome to contact us!